Last week we discussed travel bags, vaccination requirements and communication options for extended overseas travel. This week, we dive into money issues, travel insurance and more. ATM skimmers that capture bank account and PIN information are problems in certain parts of the world, including in Central America. Losing our travel money to thieves is one thing, putting our major financial account information at risk is something else entirely. To keep our primary accounts secure, we set up a specific checking account that we only use for travel. If this account is compromised, only our budgeted travel money is in jeopardy. We can easily close the account without needing to reestablish direct deposit, electronic bill pay, and the other various links we have with our major accounts. For travel purposes we opened a CaptialOne Direct checking account. They have no minimum daily balance, charge no ATM fees, reimburse many other banks’ ATM fees, and pay decent interest rates on deposits. We can schedule regular transfers into this account based on our travel budget so balances at risk are always relatively low. I have zero concern about having my credit card number stolen. Credit card companies have become very good at monitoring accounts for theft and have a long-standing practice of not holding card owners responsible for fraudulent activity. I have far less confidence that I’ll be made whole if my debit card and bank account information is stolen. Whenever possible, I’ll use credit while on the road. 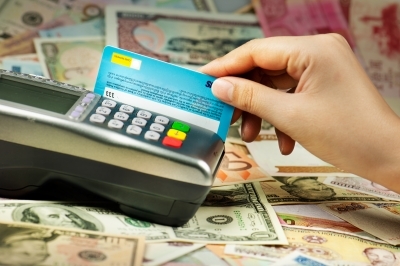 Pre-paid debit cards, like Visa’s Travel Money, are a potential alternative to using your normal ATM card. These cards act like normal debit cards but aren’t connected to a bank account. Instead, you load them with a specific amount of money – like gift cards you can use everywhere and at ATMs. We decided against going the “Travel Money” route because we had a difficult time getting a handle on all the fees. Maintenance fees, transaction fees, foreign currency translation fees, ATM fees, and loading fees all seemed to apply to varying degrees. Until this situation improves, we’ll just use our dedicated travel account. We’ve never used travelers checks so we don’t have any first hand knowledge of how well they work. Mostly we hear people complain that they can’t find anyone to cash them. Money you can’t spend is useless. We’ve had good luck with plastic so we’re sticking with that. Even though we conduct nearly all of our banking through the internet, we never send sensitive information over shared networks. While traveling internationally, we’ll rarely have access to secure internet connections so we never intend to log on to our financial accounts. In our case, that means making arrangements for two months worth of bills. Automatic bill pay is a great option for regularly recurring transactions, like mortgage payments. Nearly all large banks offer the service. If you know the amount and due date of a bill in advance, it is easy enough to schedule those payments before you leave. Make sure you consider everything that may come due while away. Our list is a long one that includes things you don’t normally think about like estimated federal income taxes, property taxes, car insurance, motor home registration, and AAA membership (which could be huge if we return to find our car battery dead) among many other things. Some payments, like bills from the credit cards you use while traveling, can’t be known ahead of time. Here you still have a couple of options. You can schedule small payments above the minimums to keep the card current. This prevents a payment default and avoids late fees, but you will incur the usurious interest charged by most credit cards on any balances rolled forward. A better option, in our view, is to make payments in excess of what you expect to charge. The credit card company will apply any overpayment against future charges. Not only will this keep your card current and prevent late fees, it will also avoid hefty interest accruals. Consider it a short-term loan to the credit card company. The cost of this to you is whatever interest you’d otherwise earn on those cash balances, which I’m guessing is pretty close to 0%. It’s always a good idea to inform banks and credit card companies of your travel plans. This won’t prevent them from freezing your account when they see charges for Tai hookers massages, it does reduce the likelihood. I carry a junk wallet with a day’s worth of cash and a bunch of expired cards. If anyone wants my wallet, they can have it. Everything of importance I carry in a travel belt under my clothes. As a general rule we only insure against risks capable of generating catastrophic losses. There isn’t anything on this trip that even remotely rises to that level. So we self insure. Health insurance is one area where I usually come down strongly in favor of getting insurance, at least for U.S. citizens. 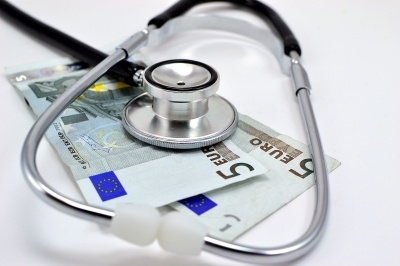 Healthcare in the U.S. can be so expensive that few people are wealthy enough to self insure. But if we have a U.S. policy, do we really need travel health insurance too? My answer is not necessarily. I don’t buy health insurance to pay for ordinary trips to the doctor or even the odd trip to the emergency room. In fact, my high deductible policy won’t pay for many of those things anyway. I get health insurance to protect against extraordinarily expensive chronic conditions. The situations where I’ll need to rely on my health insurance are mostly instances where I’ll want to be treated in the U.S. anyway. A quick look at a common traveler’s health insurance policy also reveals pretty meager coverage and plenty of weasely language designed to exempt common situations. One howler is a cap on expenses arising from “acute onset pre-existing conditions.” In plain language that means pre-existing conditions you don’t know about, like the heart disease that causes your heart attack. The policy also specifically exempts injury from many common vacation activities, like SCUBA diving, snow boarding, “amateur athletics,” and many others. It’s enough to make you wonder about the value of insurance that tries so hard to make sure they’ll never pay. We’re not necessarily against getting traveler’s health insurance. I think there are instances where we’d be glad to have it. But read the policy and make sure you understand what’s actually covered. Insurance companies are masters at advertising benefits in bold letters and then severely limiting them in the fine print. We only bought a couple of new things for this trip, preferring to mostly use what we already had. I did add a pair of light-weight and fast-drying convertible cargo pants to the ones I already owned. I found these Magellan’s for a third of the cost of the more popular Columbia brand. These will serve as my pants and shorts for the duration of the trip. While they’re not terribly stylish, and scream “tourist” to anyone within view, they are tremendously practical; so in the bag they go. Rugged enough for light hiking; comfortable enough for all-day wear; airy enough for warm weather; and weather resistant enough water activities, Keens sandals are hard to beat for a single all-purpose shoe. Be sure to check out last week’s Preparing for an Extended Backpacking Excursion (Part I) if you missed it. Great info! I use Ally online bank for my travel funds and have never had problems with them while traveling. Making sure you don’t get charged ATM fees for me is the first step in saving money while traveling! I choose Capital One for my travel account. They don’t charge ATM fees, have no minimum balance requirements, and claim to refund most ATM fees charged by other banks. I’m interested to see how much they’ll actually refund. I’m guessing not much but then I stand to be pleasantly surprised. I have a Capital One credit card with no foreign transaction fees that I have been happy with. I went with Ally for banking due to their higher interest rates. It is nice to know that ATM fees don’t matter.